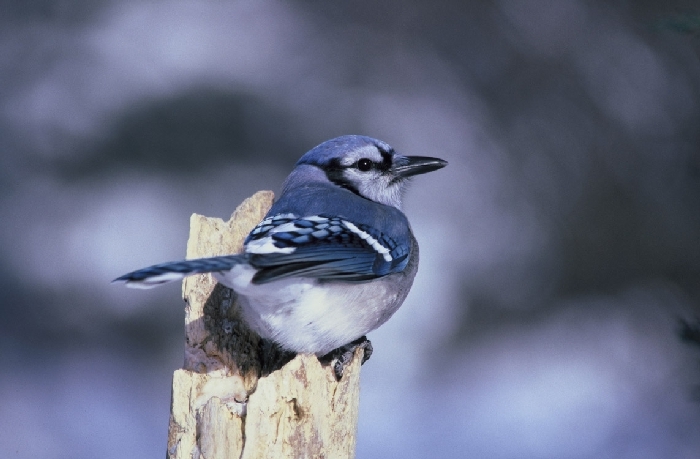 Blue Jays are one of the characteristic birds of the oak forests and savannahs. Studies of color-banded birds by Bill Hilton and Jean Vesall have shown that most jays at Cedar Creek are resident. Some migration through Cedar Creek takes place during the spring and fall, and it is likely that some Cedar Creek jays migrate south for the winter, especially in years when acorns are scarce. Jays probably nest in all of the wooded portions of Cedar Creek. Jays have nested in very high density in the residential subdivision on the east side of Durant. The first Cedar Creek records for this northern species are from the winter of 1976-77. The first bird was seen on October 27, 1976 and the last on April 15, 1977. Gray Jays irrupted south that winter, probably due to drought in their normal range. The only other record is October 28, 1986 near Norris's cabin. 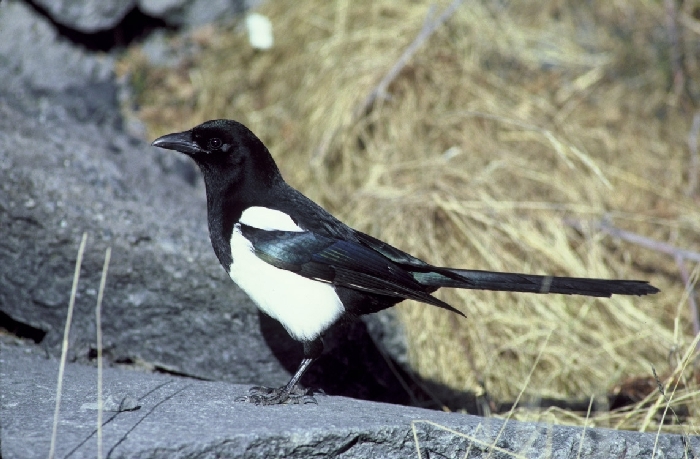 Bosanko saw a Black-billed Magpie in October 1992 along 56 in section 16. Presumably the same bird was seen several times that fall 2-3 miles northeast of that location. Crows are present year round at Cedar Creek, and most are presumably resident. Nests are known from the interior of oak woods at Cedar Creek. Crows (along with raccoons) are probably the chief nest predators at Cedar Creek. 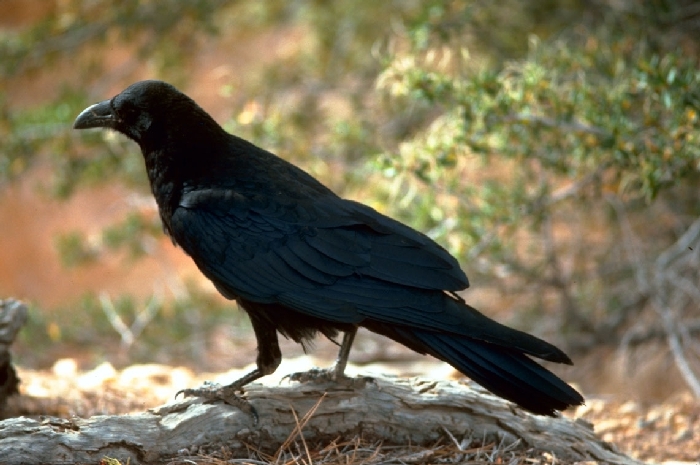 The first records of ravens at Cedar Creek were of single birds flying over the area on March 2, 1980, April 1 and 7, 1985, and March 31, 1986, and a bird feeding on a deer carcass on November 26, 1986. Ravens were present in the Cedar Creek area during the winter of 1987-88, and were recorded at Cedar Creek during all seasons in 1989, and in almost all seasons thereafter. Ravens nested in the tall pines south of Beckman Lake in 1990 and 1991, and probably prior to that, judging by the number of old nests there. Ravens did not nest there in 1994 or 1995, but a brood was along 26 west of Durant in 1995, so ravens nested somewhere in the Cedar Creek area. Cedar Creek is the farthest south in Minnesota that ravens are known to breed or consistently be recorded in every season.